Knesses Tifereth Israel Synagogue, Port Chester, New York. 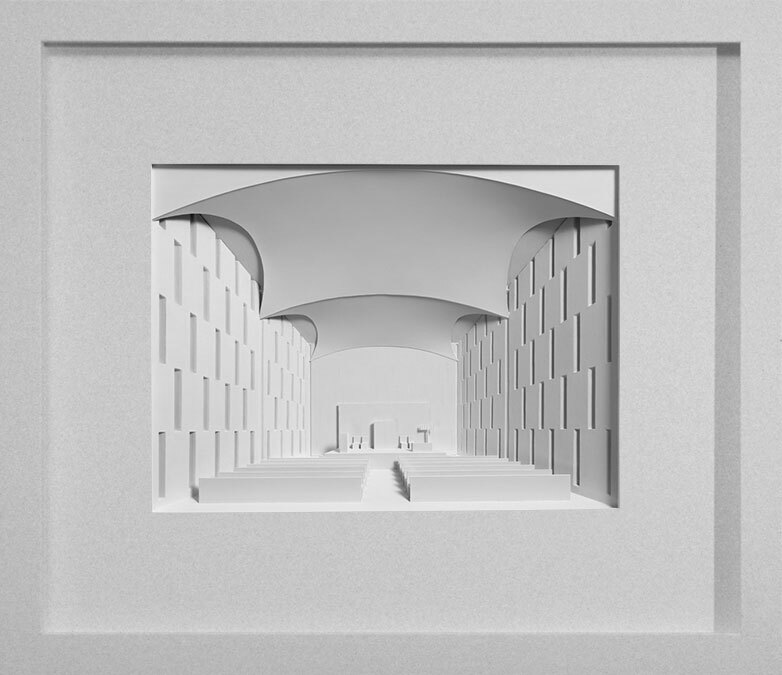 This sculpture is one of a series of art works exploring the role played by religious architecture in structuring shared ideas and systems of belief, together with the formation of social and cultural identities. The synagogue (left) designed by Philip Johnson in 1954-56 in the International style, with a simple interior and ceiling of curved plaster panels, references the chapel of Notre Dame de Haut by Le Corbusier, with it’s stained glass set in the walls, together with the subtle domed interiors of the great English neo-classical architect Sir John Soane. 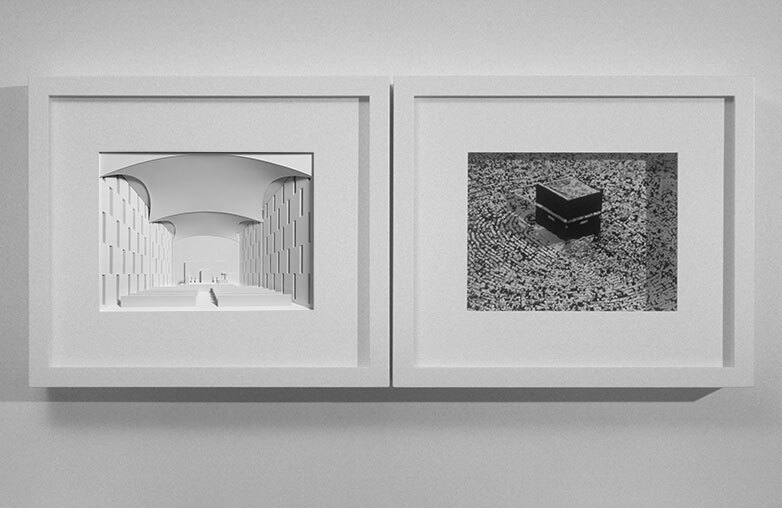 The Ka’ba (right), the holiest site in Islam is a cube-shaped, pre-Islamic, granite structure at the centre of the Great Mosque in Mecca. 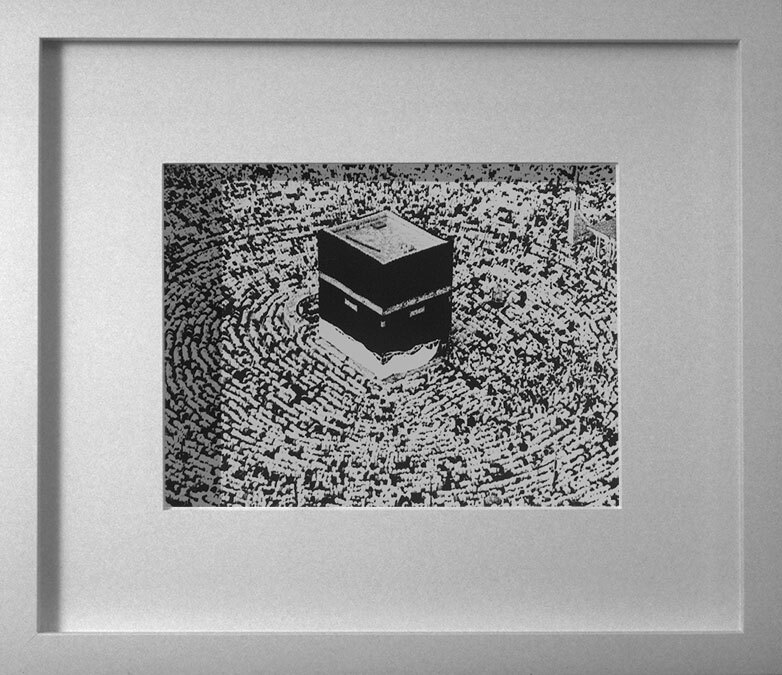 Every muslim, wherever they are in the world, faces the Ka’ba while praying, and is also required to visit the Great Mosque at Mecca (if able to do so) at least once in their lifetime to circumambulate the Ka’ba and perform the Hajj Pilgrimage. The Hajj is one of the largest annual gatherings of people in the world.